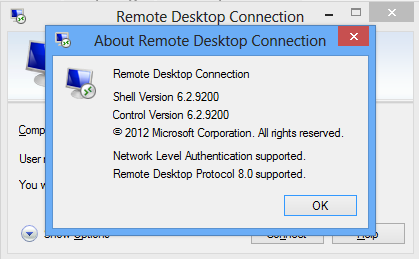 Remote Desktop previously Terminal Server? I like big changes and small features. If you want to know about the big changes you can always find everything you need to know about What’s new in Windows Server 2012 by visiting Technet. And again, there are a number of great pages where you can read more, I suggest you visist the remote desktop services blog and read more about the Windows 7 update. 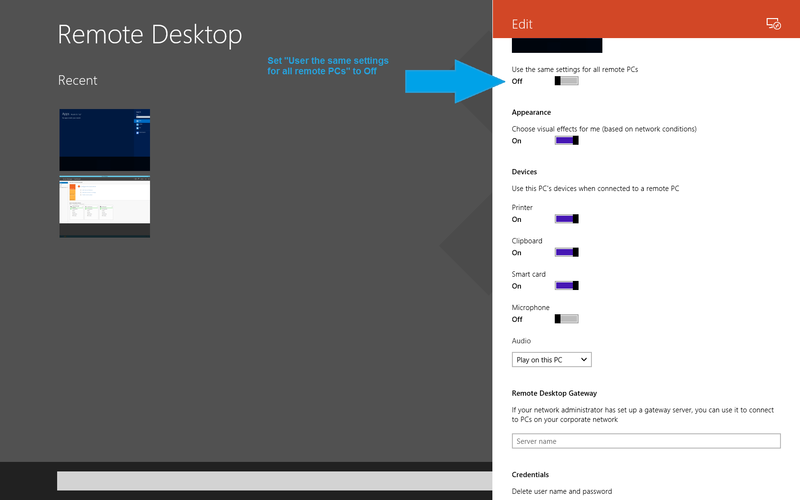 When you connect using the desktop version of remote desktop Connection (mstsc.exe) in Windows 8 or Windows Server 2012, you can right-click at the top bar and click Smart sizing to automatically expand the remote desktop session window so you won’t need to (elder) scroll to navigate. Though it seems that mstsc for Windows 7 SP1 with the 8.0 update doesn’t show the option Smart sizing in the navigation pane for some reason…? 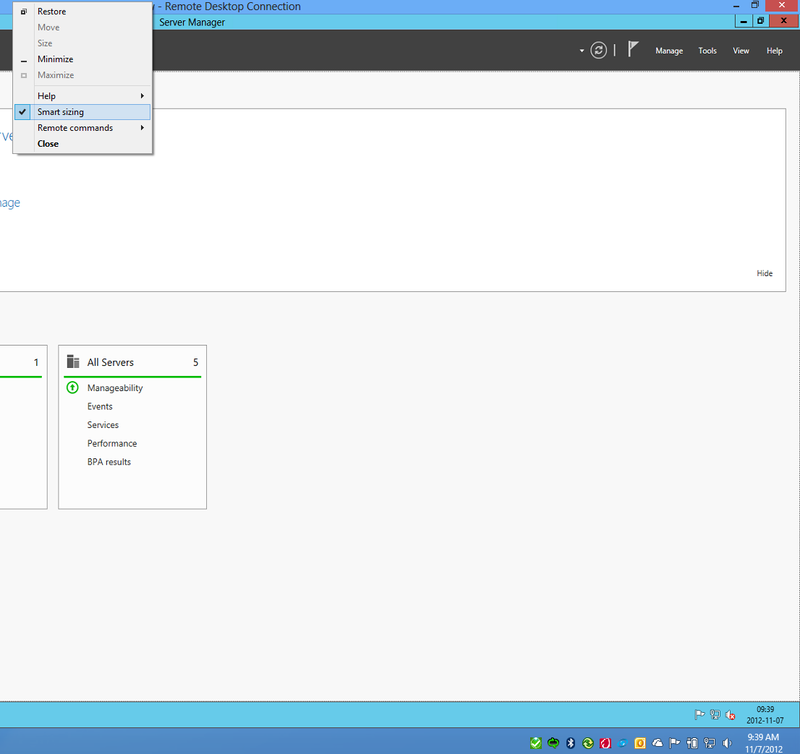 And if that is the case you can configure smart sizing by running mstsc, click Show Options, select Save As, navigate to your saved .rdp file, select open with notepad, and add smart sizing:i:1 at the end of the file and save it. 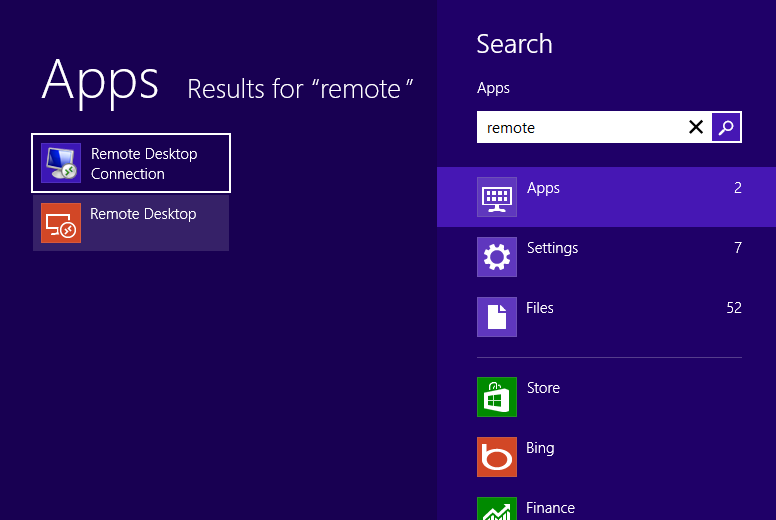 And then there’s the Windows 8 Remote Desktop application! 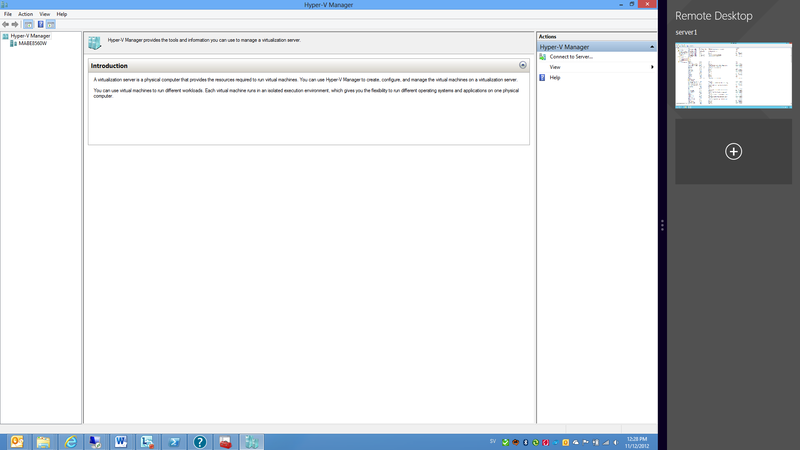 It’s a nice little application (WWAhost.exe) if you want to log on to two or three more servers remotely (… if you need to manage more than three servers, say 42, you should use Server Manager in Windows Server 2012 instead.) 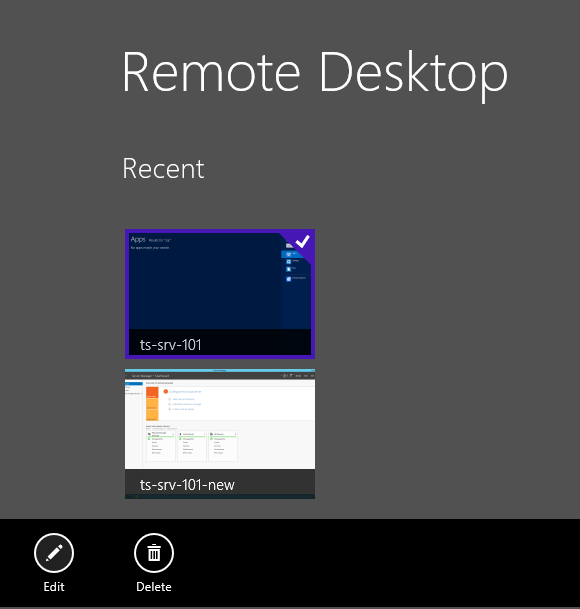 But if you are using vdi, remoteapp etc and you are using a tablet-surface-Windows 8-touch-device it’s great. you can view the settings for each machine if you switch the setting to apply for all machines to off.